This is a difficult post to write, I can’t believe what I’ve done. I went to a food establishment, and, under no duress or external influence, ordered a salad. Some of you may have trouble understanding why this would be an issue but it must be viewed through the prism of my place of birth. I’m a Glasgow boy, Glasgow, the city that looked at the pizza and decided “You know what we could do with this? Cover it in batter and deep fry it”, that’s the blood that flows through my, admittedly, cholesterol-filled, veins. As with many of the entries there is a degree of repetition in this one. Firstly the place I am about to recommend is situated a couple of minutes from Pl. Espanya at the junction of Carrer Sepluveda and Entenca. Secondly it is a branch of a place I recommended in an earlier post. 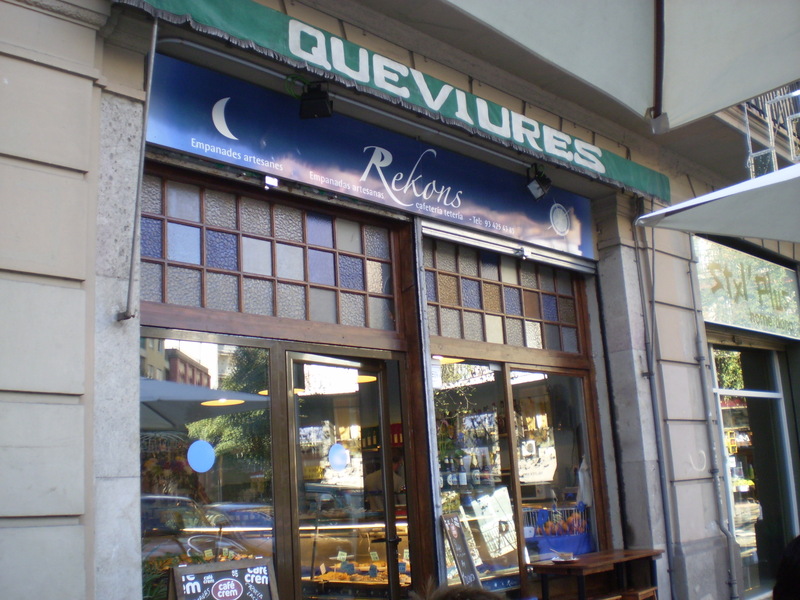 Rekons is a cafe that specialises in the Empanada, a Spanish pastie if you will. They have around 18 different varieties and having sampled at least half of them I can confirm they are uniformly excellent. They also do a fantastic sandwich which I’ve mentioned before. 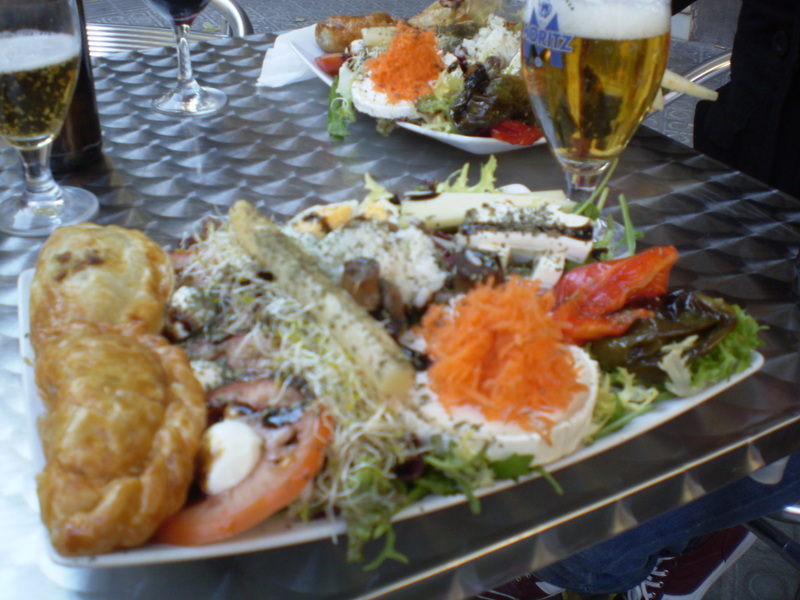 What they also do really well, and I cannot believe I am about to type this, is a *gulps* salad… For ten euros they do a “Kilombo” comprising two empanadas or chicken, pork or ham served with salad, a drink and coffee. I should explain the salad isn’t a couple of lettuce leaves and a bit of tomato. It has lettuce and tomato but also four different cheeses, roasted peppers, various other stuff and a cracking dressing. On another regular theme one of the other attractions of this place is that it is open all day, it can be a problem finding somewhere decent to eat between the lunchtime hours (12 to 4) and places reopening for dinner at 8pm. I wholeheartedly recommend this place for a quick bite especially if you are in the area to take in the Magic Fountains of an early evening. Ahhhh that feels better, some order restored to the universe. I think los bridieos to the left of the foties will keep the ancestors at peace. 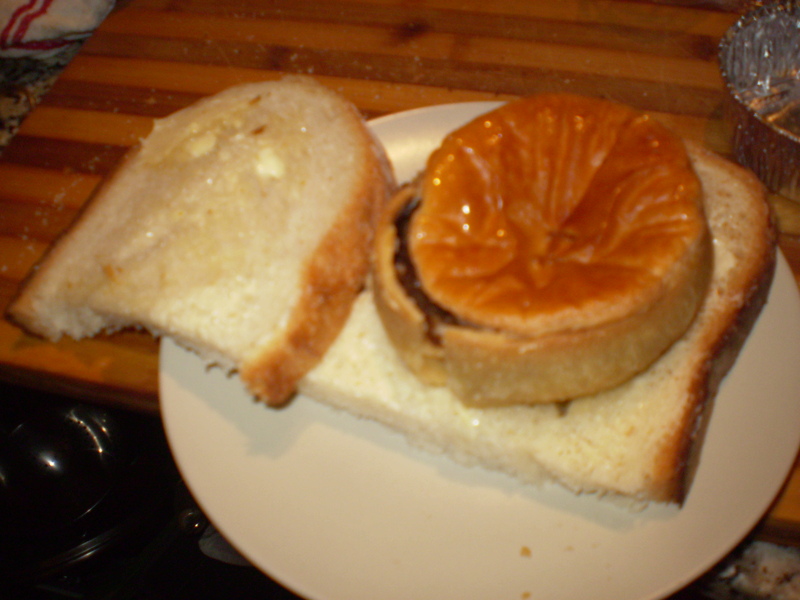 And what better day to scoff a Killie Pie?